The path of a document through your enterprise can be simply managed with FileDirector. In the graphical process designer tool the individual steps of a process are clearly represented. The print function of the process designer helps you with the documentation in quality management procedures. 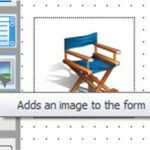 User absence features and warning thresholds prevent processes from grinding to a halt, and overviews allow for comprehensive document tracking through a process. You can guide users through the daily information flood by customized individual messages. Your mail system can alert users to new or waiting documents. Guide your documents through company procedures automatically. A process consists of several steps that are performed consecutively. Each process step can be individually configured to be worked on or whether an action is to be performed by one or more users. 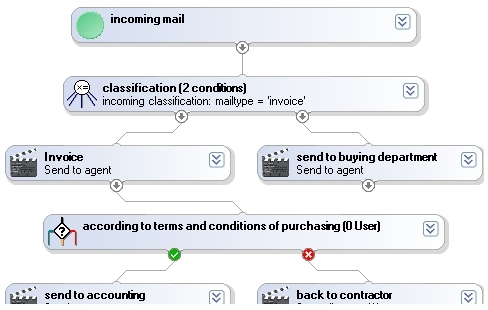 Defined tasks are specified for each user, for example approve, reject, comment or simply view (confirm notice). If the task specified is carried out, the document is routed to the next step of the process depending on the structure of the process. Our BusinessProcessManagement controls the path of a document through the single process steps and keeps track of the status and location of a document.